This lovely single level home has been tastefully updated throughout. It offers 2 spacious living areas with vaulted ceilings, formal dining area, plus a sunroom for additional living space. The open kitchen has pretty Corian counter tops, Wolf 5 burner gas range, and added recessed lighting plus an eat-in dining space with coffee bar. The large laundry room has a freezer plus cabinets and counter space for plenty of storage. The large master bedroom offers a remodeled en-suite bathroom with raised countertops and walk in shower along with a large walk-in master closet. You'll enjoy sitting on the back patio looking into the fully landscaped yard with fruit trees, irrigation system, and lush green grass. 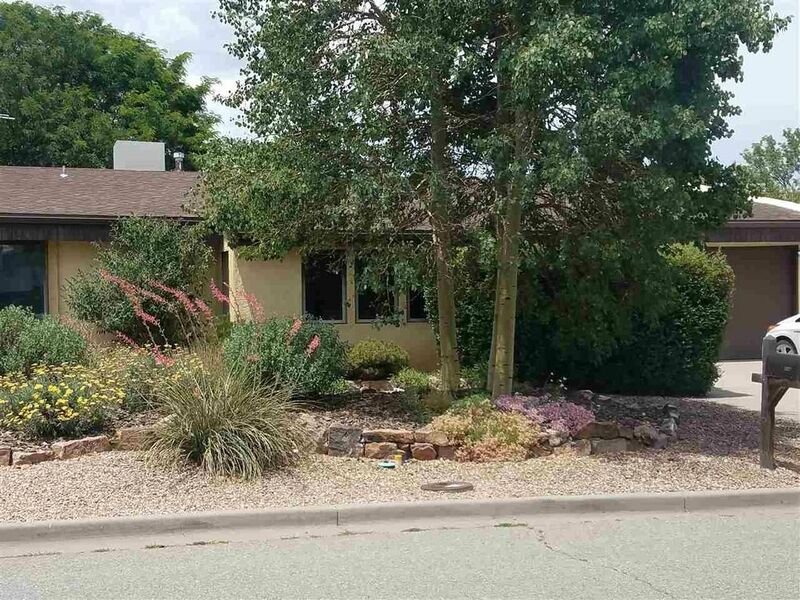 Additional updates in this home include insulated wood-cased windows, new roof in 2016, brand new water heater, evaporative cooler, in-floor radiant heat (no sono-tubes), recessed lighting, fully landscaped yards with irrigation system. This home is move in ready! Extras: Cooking - Gas, Insulated Windows, Landscaped, Sprinkler/Drip Sys. Directions: Rover to Left on Grand Canyon, Right on Aragon, Left on Ridgecrest.